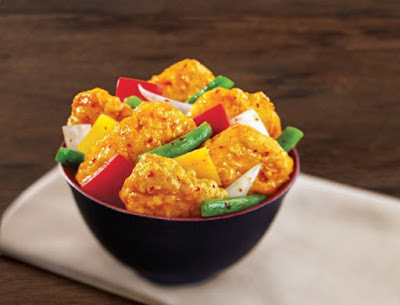 Panda Express takes on a Chinese-American classic with the introduction of their own rendition of General Tso's Chicken. The new dish features chunks of crispy-fried white meat chicken wok-tossed in a sweet, spicy, and tangy sauce along with green beans, red and yellow bell peppers, and onions. The original dish was created in the US back in the 1970s and seen many variations since. The ubiquity of the dish on many-a-Chinese restaurant's menu has even seen a documentary made regarding the origins of this Chinese-American dish. Panda Express's General Tso's Chicken can be found at all locations through December 27, 2016.